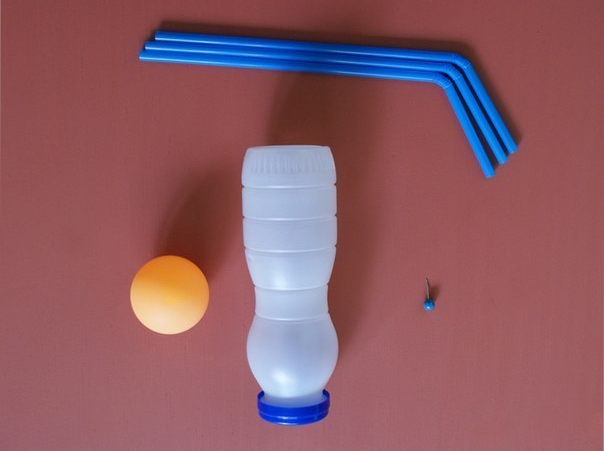 With the help of plastic bottles can make different crafts. 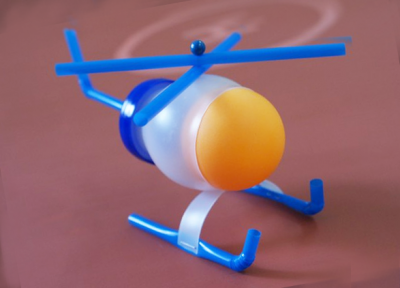 This time we will look at how you can make a helicopter out of a plastic bottle. 1. 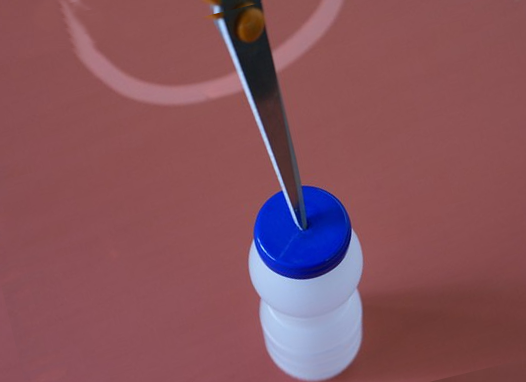 When all the tools and materials are prepared, we start assembling the helicopter from the plastic bottle. To start in the middle of the caps make a hole, such that it included a tubule. 2. 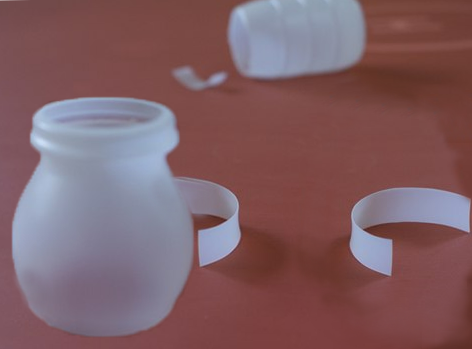 Further the top part of a plastic bottle cut off, take the bottom part and cut out from it an arc of small size. 3. 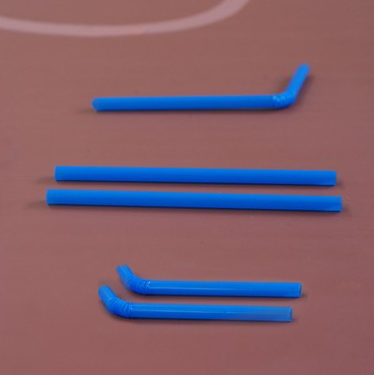 Take the tubes and cut from them small straight pieces. 4. It’s time to make a ski-stands, screw and tail to our helicopter. 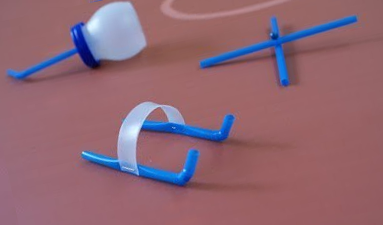 To do this, take two straight tubes, connect them and attach the English pin or button. In the hole that is in the lid insert the part of the cocktail tube with a bend. Thus form the tail for the helicopter. 5. 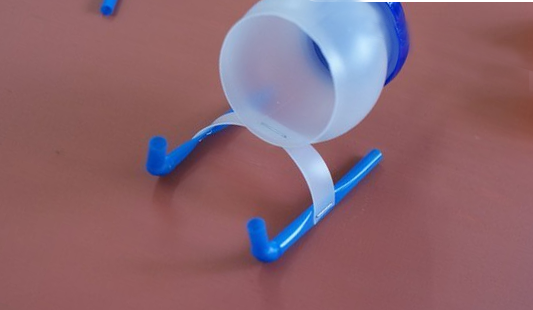 Then we take a plastic headband and with the help of a stapler we fasten 2 more tubes with bends. So we formed skis. 6. Attach the skis with help a stapler to the body of the helicopter from the bottle. 7. Take a ping-pong ball, insert it into the bottle opening and we got a cabin. If the ball is not holding well, you can attach it with glue. from above install a screw. Our helicopter from plastic bottle is ready!